A star marine of Old Earth equipped for earthbound pacification operations against the Delta City separatists. 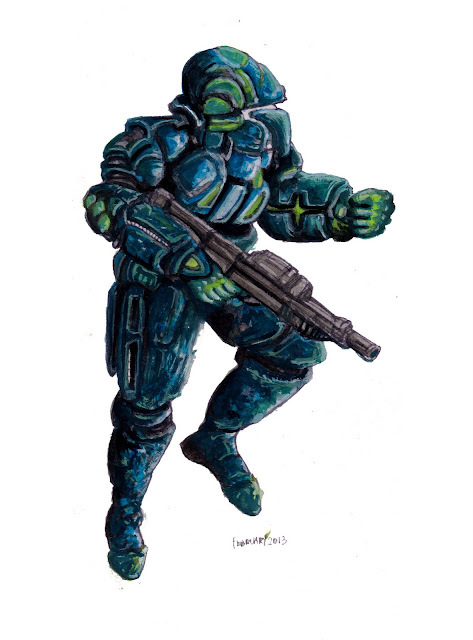 Old Earth has maintained an elite force of infantry, known as the star marines. Star marines are the defence mainstays of Old Earth and have been frequently deployed throughout the solar system.